Happy Thanksgiving week to my friends in the U.S. I hope you have some fun and stress-free plans for Thursday. We are hosting dinner here, but only have two guests coming so it's not too stressful. Plus, my husband is the chef in our family, so I won't be doing much cooking myself! Unfortunately, C is home sick today so I'm really hoping he recovers quickly and that no one else gets whatever he has! I'm still working through National Blog Posting Month (NaBloPoMo), and I have managed to publish a blog each day. Just one more week left! I didn't read quite as much as I had the previous week, but I did finish The Secret Place, which was excellent. 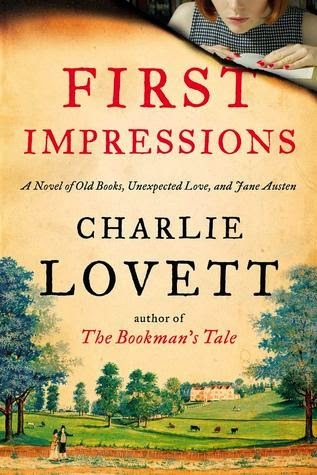 Then I took a few days off from reading and finally picked up First Impressions: A Novel of Old Books, Unexpected Love, and Jane Austen by Charlie Lovett. I loved his last book, The Bookman's Tale, so I had to read this one when given the chance. Because I'm participating in the Christmas Spirit Readathon this week, I hope to finish First Impressions and then read Just in Time for Christmas by Kim Boykin, which I found on NetGalley. 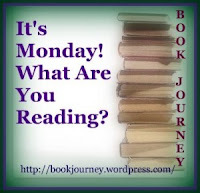 I may try to get to The Maze Runner by James Dashner this week too. C finished Catching Fire and started Mockingjay but hasn't gotten very far in it, which is interesting. 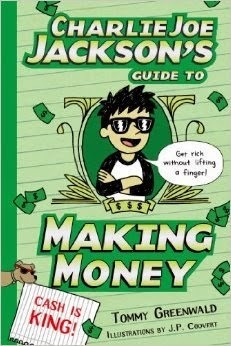 He did read a book we picked up at the library, Charlie Joe Jackson's Guide to Making Money by Tommy Greenwald. He seemed to like that a lot, so we'll probably get more in the series. M read a couple books from the library as well. How Santa Really Works by Alan Snow is a cute picture book with tons of detail and complex pictures to look at all about Santa and his operation at the North Pole. She also read Digby O'Day in the Fast Lane by Shirley Hughes, a cute illustrated chapter book. You had a busy week! I'm so impressed by how well you're doing with the daily posts. Enjoy your books this week and the holiday with your family! I cannot believe I've almost made it through the month. It's crazy! I hope C feels better! Looking forward to The Secret Place. Happy Thanksgiving. Thank you very much. Happy Thanksgiving! I just watched the preview for The Maze Runner movie and it looks really good. Enjoy your reads, and thanksgiving. Yes! I'm hoping to read the book before I see the movie. Happy Thanksgiving! You are the one that mentioned it, and those are affiliate links. But I honestly haven't seen much of a benefit yet. I'll try it a bit longer and see how it goes. Thank you! I'm jealous! We haven't seen it yet but hope to soon! Someone else just recommended the book by Charlie Lovett so it must be good! I am really enjoying his work! I've read two of his books and consider them both excellent. I can't wait for another one!